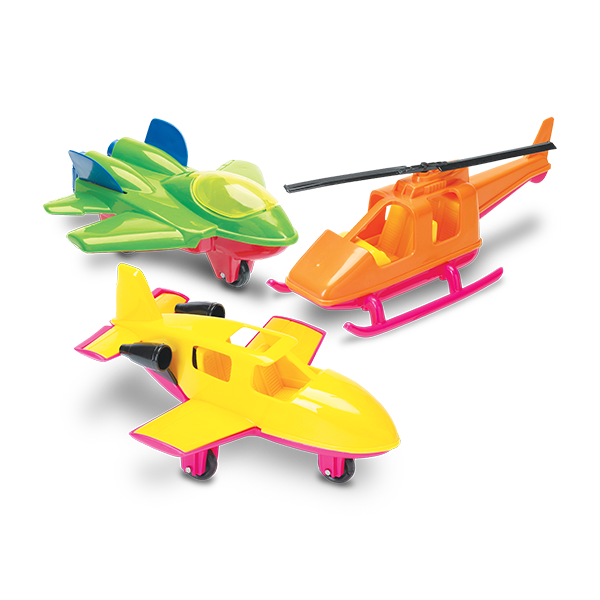 ASSORTED AIRCRAFT | American Plastic Toys Inc.
Zoom through the sky with these colorful aircrafts! All have exciting decals and detailed interiors. The helicopter has a turning rotor. The airline jet has two rear-mounted engine pods. The F-15 jet has a flip-up canopy. Packed in a colorful “Dump Display” box.